Relax in comfort in a luxury yurt – perfect for couples and families to reconnect and get back to nature. We provide everything you need, just bring clothes and food and the desire to relax. 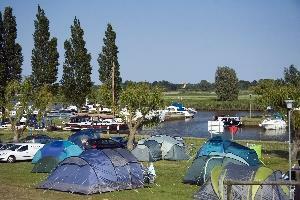 Relaxed unregimented eco camping and Glamping in the beautiful Waveney Valley. This coming season we are extremely excited to have upgraded all of our 5 canvas bell tents to these beautiful nomadic style yurts. 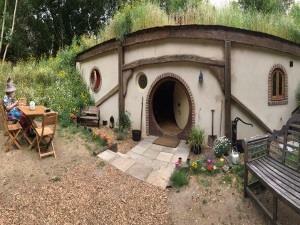 Happy Valley is a woodland and open space venue which is nestled in a Norfolk Wildlife Trust site. You can hire the whole venue for a weekend or event. 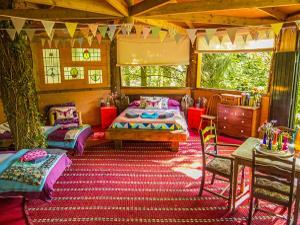 Funky, boutique rural venue for Glamping, Treehouse, Corporate, Yoga Retreat, Wedding and Holiday Cottage stays, sleeping up to 99 guests. 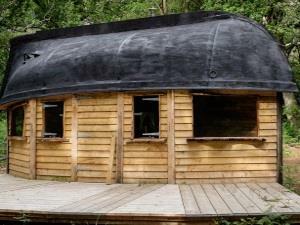 Luxury glamping. 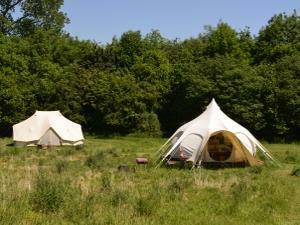 Grass pitches for campervans and tents also available. The campsite is set in the grounds of Holt Hall. A perfect escape from reality, get back to nature with friends, family or groups in our out of this world woodland glade glamping.